On October 1, 2005, LIG Insurance Company, Ltd. (LIG) based in Seoul, South Korea created Leading Insurance Services, Inc., further known as, LIG Management Services, Inc. ("LIS") in the United States. LIG became keenly aware of the growing opportunities in the United States and decided to build an insurance underwriting organization specifically designed to respond to the unique needs of the Korean-American business community. In June 2015, LIG Insurance Company Ltd. was acquired by the KB Financial Group Inc. and the company changed its name to KB Insurance Company Ltd. “LIS” remains the management company and the new name for the US operations is Kookmin Best Insurance Co. Ltd. US Branch or KBIC. Today, although the Korean-American business community remains an integral part of the KBIC identity, we have developed into a dynamic organization serving the needs of mainstream business owners throughout CA, NJ and NY. Headquartered in Fort Lee, New Jersey, with a branch office in Glendale, California, we continue to grow and provide commercial insurance with a focus on small to mid-sized businesses. KB Financial Group is Korea’s leading financial institution with the largest customer base and the most extensive branch network in the country. With total assets exceeding US$380 Billion, the Group wields a solid capital prowess and enjoys a strong brand loyalty. 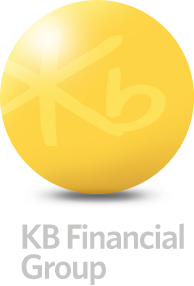 KB Financial Group was incorporated on September 29, 2008 in Seoul, Korea. The Company's operations include Kookmin Bank, a commercial bank in Korea. The Company operates through six business segments: retail banking operations, corporate banking operations, other banking operations, credit card operations, investment and securities operations, and life insurance operations. The retail banking operations include retail banking services provided by Kookmin Bank. The corporate banking operations include corporate banking services provided by Kookmin Bank. The other banking operations include Kookmin Bank's banking operations other than retail and corporate banking operations, including treasury activities. The credit card operations include credit card activities conducted by KB Kookmin Card Co., Ltd., a subsidiary of the Company. The investment and securities operations include securities brokerage, investment banking, securities investment and trading and other capital markets services conducted by KB Investment & Securities. The life insurance operations include life insurance and wealth management services provided by KB Life Insurance Co., Ltd., a subsidiary of the Company. As of December 31, 2014, Kookmin Bank had a combined banking network of 1,161 branches. KBIC provides top class insurance services to mainstream small businesses operating in large urban areas. Through our ever growing partnerships, we seek to expand our market to reflect the diverse multicultural environment of America's metropolitan centers. KBIC provides a level of service that is both personal and professional. Because of our close relationships with our customers, we have a better understanding of what they need and want and can design our product line accordingly. Our diverse, multilingual and multicultural underwriting, claims and accounting staff can deliver customized, personal customer service with our valued partners and clients regarding any inquiries. Furthermore, KBIC has an A.M. Best rating of A (Excellent). Few other insurance providers operating in our local niche can make the same claim.